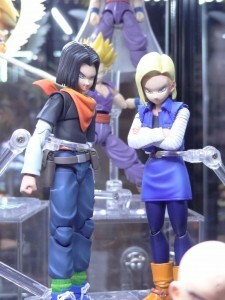 The first picture of the up coming S.H.Figuarts duo Android 17 and 18 has surfaced. We saw Android 18 previously but this is a whole new sculpt which looks like a work in progress for Android 17. One thing that stands out about these two is how well they will be in a doulbe pack. Since neither have many accessories it could point to these two being the first Figuarts double pack and be the first step towards a Ginu Force set.